Life saving is the most urgent task in disaster response. It is our first priority. In the Asian tsunami about 80% of the fatalities occurred in the first 24 hours. Life saving a woman who had just given birth up a tree in 2000. Not by us! Many response organizations talk about the golden hour for health interventions, we may not be able to help medical NGOs achieve that, but should try to speed medical interventions to a disaster zone. After the Asian tsunami a single doctor in Aceh detected measles at her clinic and called for a cold chain to be established by helicopter and the result was a flow of vaccines that saved lives. We have a stretcher equipped helicopter to help us lift people in emergencies. We do not have to be an air ambulance to lift people in urgent need of care. Pre-flight checks and briefings can be rushed and incomplete. The desire to pick up the casualty as close to the incident as possible may make the landing take un-necessary risks. 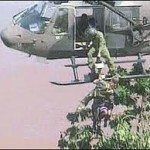 There are people operating near the helicopter who may not be familiar with the risks. 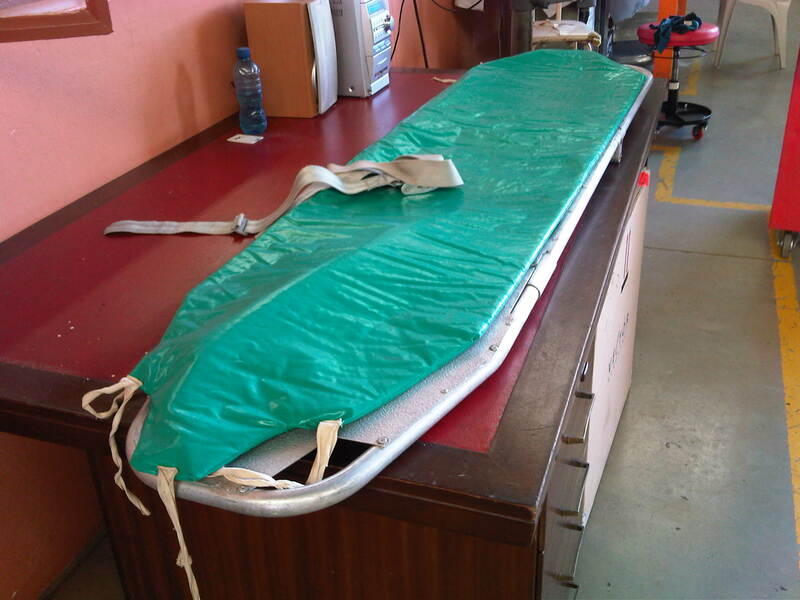 Special stretchers are used. The casualty needs to be safely transferred to the stretcher. Depending on the medical emergency, the take off, flight and landing may need to be adjusted. Desiring to get close to the hospital may also result in landing in non-ideal places. So we ask for experience in our pilots, so that these risks can be best managed. 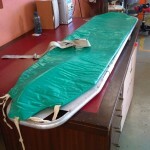 They have to be able to change to this role quickly and safely. Then they can evacuate people safely. We show how we got our helicopter ready for it in our news bulletin. 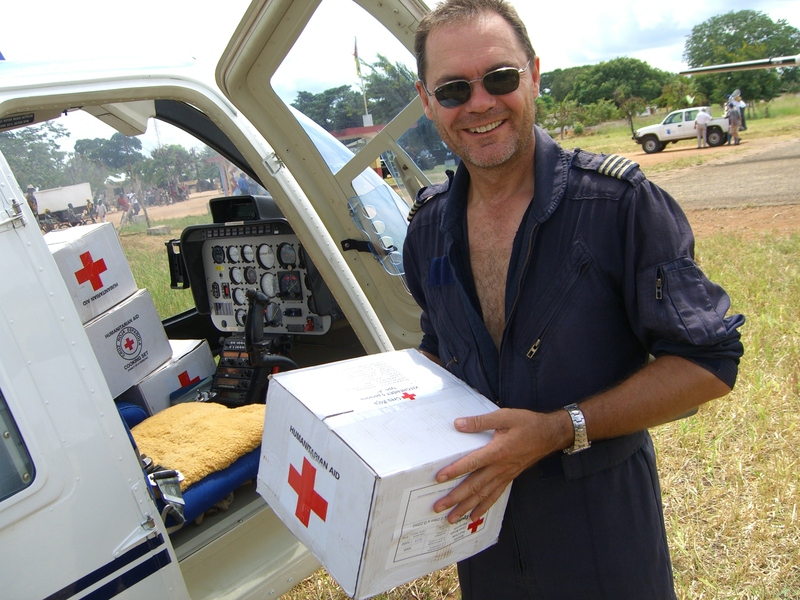 A far more efficient way of saving lives is to fly medical staff into disaster zone. That way whole communities can have better access to health care. After the 2005 tsunami, the medical care in some parts of Sri Lanka improved so much that no one died for a few months. So we fly in medical teams and move them around. This is a vital part of the early response. We also fly in medical stores. This aid supports community nurses and NGO medical staffs. 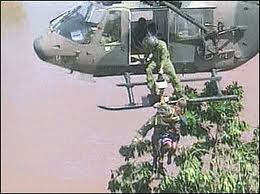 We thank Humedica who helped us with costs in our 2007 response. They paid for the medical packs in this picture. 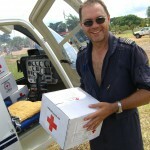 There are often no air ambulances in disaster zones. If you live in ‘the west’ you probably have that sort of service near you. If you want to help us provide this sort of life saving support to people in disaster zones why not donate here? If you still have questions, why not contact us?